Rod Stewart takes youngest sons to soccer game: See the sweet pics! 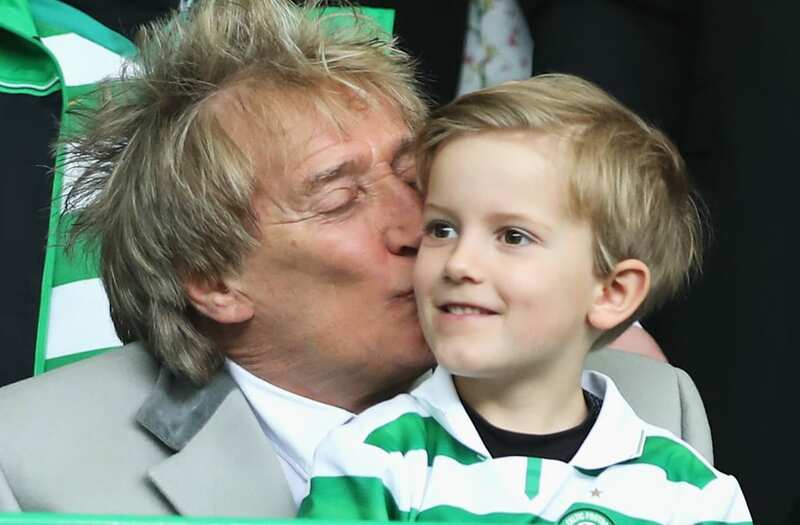 Rod Stewart had some fun with two of his sons at a soccer game in Glasgow on Sunday. The 72-year-old "Maggie May" singer stepped out for the Rangers-Celtic matchup with Alastair, 11, and Aiden, 6, who are the youngest of his eight children. Throughout the game, the father of eight showed his love for his boys and looked to be in great spirits. The group was all smiles as he kissed Aiden on the cheek and pointed at the players on the field. Stewart shares Aiden and Alastair with current wife Penny Lancaster. He's also father to Sarah Streeter, 54, who he fathered with Susannah Boffey; Liam Stewart, 22, and Renee Stewart, 24, who he had with Rachel Hunter; Sean Stewart, 36, and Kimberly Stewart, 37, who he shares with Alana Stewart and Ruby Stewart, 29, whose mother is Kelly Emberg. The joyous outing to the soccer game, which ended in a 1-1 draw, comes just a few weeks after the legendary singer came under fire for seemingly mocking an ISIS beheading in bizarre footage that went viral last month. "From re-enacting the Beatles' Abbey Road crossing to spontaneously playing out Game of Thrones, we were simply larking about pre-show," Stewart said in his apology at the time. "Understandably this has been misinterpreted, and I send my deepest apologies to those who have been offended." Sharon Stone shares a rare photo with her three sons for her 59th birthday!